Tehran and Damascus have signed an agreement that will further expand military and defense ties between the two countries and allow Iranian-led forces to remain in Syria for the long haul, Iranian state-run media reported. The defense pact was signed during a meeting between Iran’s Defense Minister Brigadier General Amir Hatami with his Syrian counterpart Ali Abdullah Ayoub and Syrian President Bashar al-Assad in the Syrian capital. According to the Islamic Republic News Agency (IRNA), the Iranian military delegation arrived in Damascus for talks on Saturday at the invitation of the Syrian government. After the meetings, Iranian officials and media outlets also revealed that the two sides agreed that Iranian-led forces will stay in Syria to assist the Syrian government. Tehran and Damascus will also work together to further empower the regional network of Shiite forces that fight under Iranian direction in Syria and beyond. 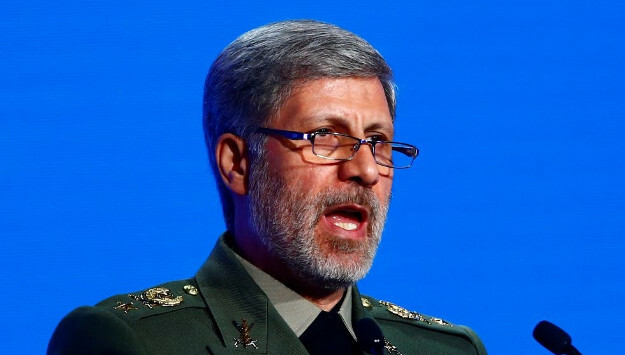 “The continuation of Iranian advisers in Syria is one element of the defense agreement between Tehran and Damascus,” said General Abu al-Ghassem Alinejad, Iran’s military and defense attaché in Syria. Tehran will also take an active part in Syria’s reconstruction process, he added. In addition to meeting Syrian officials, Hatami also visited “defenders of shrines” – a term Iranian officials use for their proxy militia forces in Syria and Iraq. Iranian and Syrian officials further emphasized join efforts to further empower the “axis of resistance” in the region. “Assessing regional developments, combatting terrorism, strengthening the resistance axis, and exploring ways to expand defense and military ties between Tehran and Damascus were among focal points of discussions by the defense minister in Syria,” Alinejad pointed out. Comment: The bilateral defense pact once again indicates that Iran plans to maintain a long-term military presence in Syria despite objections by the United States and some regional countries, particularly Israel. Since the start of the Syrian civil war seven years ago, Iran has deployed thousands of its Revolutionary Guards personnel and mobilized tens of thousands of other Shiite militia forces from Syria, Lebanon, Iraq, Afghanistan, Pakistan and the broader region to aid the embattled Assad regime. With the Assad regime now in control of all population centers, Israel in particular is worried that Iran will use post-conflict Syria as a base to further expand its influence in the region and use the Syrian territory to threaten Israel. Israeli military have recently conducted several strikes against Iranian targets inside Syria, sending Tehran the message that the Jewish state would not tolerate Iranian military presence in Syria, particularly in southern Syria close to its border. Washington has also tried to encourage Moscow to force Tehran to withdraw its forces from Syria. But Russia, which relies on Iranian ground forces to recapture the remaining Syrian territory still under opposition control, is unwilling and unable to compel the Iranians to leave Syria. President Trump’s national security advisor, John Bolton, recently said Russian President Vladimir Putin has admitted that he cannot expel Iranian forces from Syria. And as the new defense pact demonstrates, Damascus is no rush to ask Iran to leave either. According to Iranian officials, Hatami also discussed Iran’s role in Syria’s reconstruction process. Many Iranian officials and lawmakers have said that Iranian companies should be given priority in Syria’s rebuilding because of the assistance Iran has given to Syria in recent years. The Rouhani government earlier this year tasked the Revolutionary Guards to lead economic activities in Syria, arguing that the situation is insecure for Iranian private companies. The IRGC has signed several agreements with the Syrian government to implement a wide range of projects, such as in the telecommunication, infrastructure and energy sectors, but those projects have yet to start because of the ongoing conflict.